Hello refashionistas! 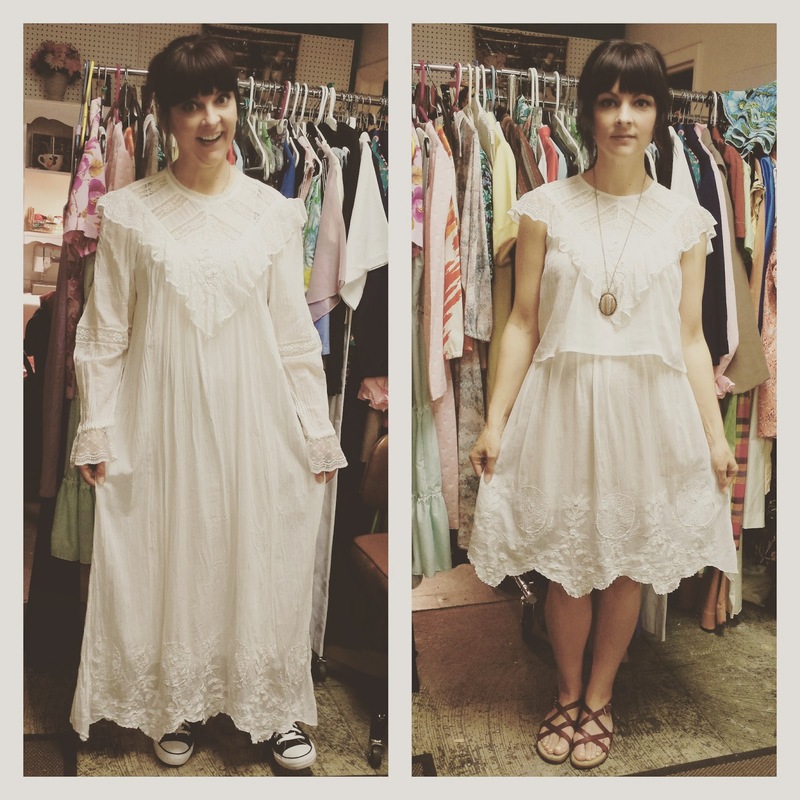 When I found this sleepy dress in a thrift store, I knew it could be turned into something amazing! Just look at that lace and embroidery detail, and the light gauzy fabric was perfect for Summer! For details on this and other vintage refashions, visit my blog at www.lovestreetsalvage.com, or for the most current updates follow me on Instagram @lovestreetsalvage. Good save! I love that you can do a dress or separate look with them. I think the added horizontal line of the crop top hem really helps to update the style as well. This is so well done. You have a talent for taking away just the right amount of excess, and finding the beauty hidden in pieces like these!